According to section 60 of Patents Ordinance 2000, a patentee may institute a suit in a district court with the required jurisdiction, against any person who makes, sells or uses the patented invention without acquiring the required licence or permission or tries to imitate or counterfeit the patented invention. However, the federal government, under section 16 of the IPO Act 2012, has established IP tribunals that are now fully functional in every province, and all IP cases including patents are to be filed with the tribunal possessing the necessary jurisdiction. A tribunal has the powers equivalent to that of the District Court and thus has the requisite authority to order provisional measures, inaudita altera parte where appropriate; this relief is available where delay might cause irreparable harm to the rightful holder, or where there is demonstrable risk of evidence being destroyed. Furthermore, there are administrative measures available to give redress to the aggrieved party such as one provided in the Customs Act 1969 section 15, which mentions that goods involving infringement within the meaning of Patents Ordinance 2000, shall not be imported into or exported out of Pakistan, and if there is such an attempt, they shall be seized, confiscated or detained by the Assistant Collector of Customs. Moreover, the Directorate for IPR Enforcement has been established at the Customs and recently, under SRO 170(I) 2017, the powers of the Directorate have been enhanced, whereby it actively informs brand owners when a consignment bearing infringing goods has been identified by the customs authorities, who may then choose to take action against the owner of the counterfeit goods. Another administrative measure available to the parties in patent infringement suits is arbitration, where in case of differences, the parties may seek to resolve the dispute by arbitration under the Arbitration Act of 1940. Patent infringement trials are civil proceedings, hence, according to the Civil Procedure Code (CPC) 1908 section 26, the suit shall be instituted by the presentation of a plaint, which shall be accepted by the presiding officer. Thereafter a summons may be issued to the defendant to appear and answer the claim. The court may make an order as necessary or reasonable for answering or interrogation of the admission of documents and facts, production and return of documents or any other material as producible evidence. Moreover, the court may order any fact to be proved by affidavit and award an interim relief as claimed by the plaintiff. After the case has been heard, the court shall pronounce judgment, and on such judgment, decree shall follow. Juries are not a part of the civil suit. A typical suit may last for two to five years. Furthermore, according to section 68 of the Patents Ordinance 2000, the court has the power to appoint an independent scientific adviser to assist the court or to inquire and report upon any question of fact or opinion, who shall make a conclusive report upon the matter at hand. Moreover, according to section 104 of the Patents Ordinance 2000, the High Court has the power to make rules consistent with the ordinance as to the conduct and procedure in respect of all the proceedings before it. According to Qanun-e-Shahadat Order 1984, section 117, the burden of proof with regard to infringement, invalidity and unenforceability lies with the plaintiff. According to section 61(2)(c) of the Patents Ordinance 2000, the court shall have the authority to require the applicant to provide any reasonably available evidence to satisfy it with a sufficient degree of certainty that the applicant is the right holder and that the applicant’s right is being infringed or that such infringement is imminent, and to order the applicant to provide assurance sufficient to prevent the defendant. Moreover, the court may require the applicant to supply other information necessary for identification of the goods concerned. Furthermore, the defendant or accused infringer will have to provide sufficient evidence when challenging patentability of the patent. The burden of proof for establishing infringement, invalidity and unenforceability is a civil standard of proof, which is on balance of probability. Any natural or judicial person, including an association or body of individuals, whether incorporated or not, can sue for patent infringement provided that person is a valid patent holder, whose patent has been sealed or granted. Such a person shall be referred to as a patentee, which term in relation to a patent may include one who has been entered on the Register as the grantee or proprietor of the patent, and it also includes any subsequent assignee or successor-in-interest or a patent recordal of whose name on the Register is pending with the Controller. The accused infringer has the legal right and remedy to bring a law suit and obtaining a judicial ruling in his favour. If a person who is entitled or interested in patent threatens any person for infringing a patent, a person who is innocent and aggrieved by the said act may bring a proceeding for groundless threat of infringement according to section 66 of the Patents Ordinance 2000. A person can be liable for contributory infringement of a patent if he or she offers to sell or import a component of a patented invention or a combination or a composition of the material which belongs to a patented process or which constitutes a significant or material part of the patented invention. Therefore, civil liability for contributory infringement exists whereby an injunction or interlocutory injunction may be directed towards a person contributing to an infringement. Moreover, it is possible for multiple parties to be liable for infringement of a patent if each of them practise some or single steps or elements of a patented invention, but together they practise all the elements. Furthermore, parties may also be liable for infringement of a patent if they infringe some steps of the patented invention but not the patent as a whole. According to the CPC 1908 Order 1 section 3, persons or parties may be joined as defendants to a single suit if any right to relief or in respect of or acts arising out of the same cause of action or series of acts or transactions is alleged to exist against someone, whether jointly severally, or in the alternative, where if separate suits were brought against such person, common question of law or fact would arise. Moreover, it is essential that all the defendants must be infringers of the same patent in question for them to be a joint party. Patents are a territorial right, that is, they are exclusive rights that are only applicable in the country or the region in which the patent has been filed and granted. Infringement activities that happen outside the region or jurisdiction cannot be penalised, however, the patentee can make an effort to stop others from making or selling it overseas. This can be achieved if the patent coverage is provided in the foreign country by filing a patent application in each of the countries separately, which shall be subsequently examined and issued. However, if the infringed product enters the territories where the product is patented, a valid legal action can be brought against it. However, the Customs Act empowers customs officers in Pakistan to take action against the import and export of goods violating the patents rights by seizing or confiscating the goods. As mentioned in question 1, SRO 170(I) 2017 lays down the procedure to file complaints with the customs authorities, who shall then initiate appropriate action. ‘Equivalents’ in the patent system allow the court to hold a party liable for patent infringement even when the infringing device or the process does not fall within the literal scope of the patented claim, but it is equivalent to the claimed invention. There is no statutory provision or a judicial ruling that governs the scope of infringement by equivalents. However, the courts are welcoming to new terminologies and doctrines as they come in the Patent Law of Pakistan as it is in the developmental stages. To obtain evidence in a patent infringement suit, once the suit has been filed in the court at the first hearing the court shall ascertain from each party whether they admit or deny the allegations of the plaint. The court may, with the consent of parties, conduct examination of the witnesses and admit documents. According to CPC 1908, the court may order the production of documents in the parties’ possession relating to the matter in the suit henceforth; documentary evidence of every description in the possession of the parties that they intend to rely on should be provided to the court. Apart from the documentary evidence, the court may order the parties to the suit to give evidence or produce documents in their possession. Moreover, the court may at any stage of the suit inspect any property or thing concerning which any question may arise. In instances where the party resides outside the country, the court may issue a commission or a letter of request for examination for the party who is unable to attend the court for given reasons. Therefore, the report of the commission and the evidence taken by him or her shall form an integral part of the evidential record. There is no fixed time frame for an infringement or dilution or related actions for cases being dealt with at the trial court level as much depends on a case-by-case basis. A preliminary injunction takes approximately two to six months, whereas the finality of the lawsuit is attained within two to five years. The time frame for an appeal against an order against the preliminary or permanent injunction is not fixed but may take around two to three years. The typical range of costs of a patent infringement lawsuit before trial, during trial or for an appeal depends on the nature of the case and may range from US$7,000 to US$25,000 or more. Technically, a successful plaintiff may be able to recover reasonable costs depending on the court’s assessment of the matter and the losses suffered by the successful plaintiff. However, Pakistani courts are extremely reticent in granting costs or pecuniary relief in intellectual property (IP) matters; in rare cases where damages or costs have been granted, they are limited to a small fraction of the cost. There is no express bar on contingency fees in Pakistan. However, under the Canons of Professional Conduct and Etiquettes of Advocates as given in Chapter XII of the Pakistan Legal Practitioners and Bar Council Rules 1976, various factors are stipulated that are deemed proper to consider in determining the advocate’s fee. As per the Intellectual Property Act 2012, a suit for infringement of a patent is to be instituted in the tribunal exercising jurisdiction. As aforesaid, if the tribunal is not operative then the suit may be instituted at the court exercising original jurisdiction. Any judgment, decree or order passed by the tribunal is appealable before the High Court exercising jurisdiction over the tribunal. If the appeal is filed against an order, the appeal will be heard by a single judge but if the appeal challenges the judgment or decree passed by the tribunal, it shall be heard by a division bench of the High Court. Subject to the provisions of the Constitution of Pakistan, any judgment, decree or order passed by the High Court can be appealed before the Supreme Court of Pakistan, provided special leave to appeal is granted by the Supreme Court and any decision on such appeal by the Supreme Court is final. An important exception to the above is the unique jurisdiction of the High Court of Sindh at Karachi, owing to the status of Karachi as the country’s commercial hub. Civil suits valued at over US$150,000, including patent infringement proceedings, can be filed directly before the single judge of the High Court of Sindh exercising original jurisdiction. Any order, judgment or decree passed by a single judge shall be appealable before a division bench of the High Court of Sindh comprising two judges. Any order, judgment or decree passed by the division bench of the High Court shall be appealable before the Supreme Court of Pakistan in the same manner as described earlier. Admissibility of new evidence at an appellate stage is generally disallowed; however, there are exceptions to the rule. Under Order 41, Rule 27 CPC 1908, new evidence may be admitted at the appellate stage for one of two reasons: first, if it is evidence that ought to have been admitted at the lower court but was not; or second, if the new evidence is required by the appellate court in order to deliver a judgment. Wherever additional evidence is allowed, the court must record the reason for its admission. Patent rights are considered valid exclusive rights and the enforcement of these rights and the subsequent exclusion of all other parties from using a valid invention would not give rise to competition violation, unless the patent owner has obtained the patent through unlawful means. The unlawful measures may include the employment of patenting strategies, the sole purpose of which is to unjustly extend the term of a patent or threaten others with litigation. It may be noted that this issue has thus far not been tackled by the courts or by the Competition Commission of Pakistan, which is the country’s regulatory body for competition matters. In addition to the above, there are certain limitations contained within patent law that permit the federal government to disentitle a patent owner from exercising exclusivity. These include fair use provisions (use for research, use by government, etc), as well as provisions on compulsory licensing that compel a patent owner to license the patent to third parties. Alternative dispute resolution (ADR) techniques such as mediation and arbitration are available in Pakistan. Although not commonly used by parties, in some cases it is cheaper and a relatively quicker way than using court proceedings and is therefore encouraged. The decisions for settlements are binding upon the parties and cannot be challenged. However, enforcement of the settlement is, on some occasions, problematic, if one of the parties refuses to accept the decision of the mediator or the arbitrator for settlement. The court would then have to be approached to enforce the decision of the arbitrator, which can sometimes be a lengthy process. There is no compulsion on the parties to enter into mediation. 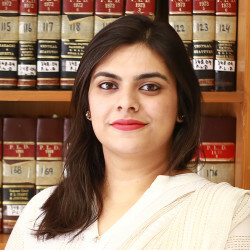 However, if a pre-existing agreement between the parties in a dispute stipulates that the matter is to be referred to arbitration, then the courts are expected to refer the matter to arbitration rather than allowing civil proceedings to be entertained in the court. The Patents Ordinance 2000 marks a very clear distinction between patentable and un-patentable inventions in Pakistan. The provisions governing patentable inventions under section 7(1) set criteria for an invention to be evaluated against, which require that the invention: be new; involve an inventive step; is capable of industrial application; and should not be contrary to law or morality. purely scientific and mathematical formulae and principles. Patents form an integral part of a business’s assets and the ownership of patents is a crucial factor as it is a product of massive investment. Matters pertaining to the ownership of patents are governed by sections 11 and 12 of the Patents Ordinance 2000, which states that an application can be filed by any person, whether alone or jointly with any other persons, and hence an independent contractor, multiple inventors and a joint venture arrangement can apply for the ownership of a patent alone or jointly. As for an invention made by a company employee, section 12 of the Patents Ordinance 2000 states that the right to the patent for an invention made by an employee during the course of his or her employment in the absence of contractual obligation to the contrary belongs to the inventor unless the employer proves that the invention could not have been made without the use of the employer’s facilities, equipment and the like necessary for the invention. It further goes on to state that an invention of exceptional economic value shall entitle the inventor to an equitable remuneration taking into account the nature of his or her duties, his or her salary and the benefits derived by the employer. Moreover, section 34 of the Patents Ordinance 2000 states that in the event the patent has been granted to two or more persons, each of those persons shall, unless an agreement to the contrary is in force, be entitled to an equal undivided share in the patent. With regards to the recordal and transfer of patent ownership, section 55 of the Patents Ordinance 2000 explains that where any person becomes entitled by assignment, transmission or operation of law to a patent or to a share in a patent, he or she shall apply in writing in the prescribed manner to the Controller for the registration of his or her title or, as the case may be, of notice of his or her interest in the Register. In addition to this, an application for the registration of the title of any person becoming entitled by assignment to a patent or a share in a patent may be made in the prescribed manner by the assignor, mortgagor, licensor or other party to that instrument, as the case may be. Where an application is made under the said section for the registration of the title of any person, the Controller shall, upon proof of title to his or her satisfaction where that person is entitled to a patent or a share in a patent, register him or her in the Register as proprietor or co-proprietor of the patent, and enter in the Register particulars of the instrument or event by which he or she derives title; or where that person is entitled to any other interest in patent, enter in the Register notice of his or her interest, with particulars of the instrument, if any, creating it. Subject to the provisions of this Ordinance relating to co-ownership of patents and subject also to any rights vested in any other person of which notice is entered in the Register, the person or persons registered as grantee or proprietor of a patent shall have power to assign, grant licences under, or otherwise deal with, the patent and to give effectual receipts for any consideration for any such assignment, licence or dealing. The validity of a patent can be challenged by two actions: opposition and revocation. An application for revocation of a patent can be filed with the High Court under section 46 being the special court or by the federal government under section 48, as well as with the Controller of Patents under section 47, which is an administrative tribunal. However, an opposition can only be filed with the Controller. A patent can be opposed on a number of grounds stipulated under section 23 of the Patents Ordinance 2000 at any time within four months from the date of advertisement of the acceptance of a complete specification by giving notice to the Controller of opposition to the grant of the patent. that the complete specification describes or claims an invention other than that which the Patent Office’s Patents Ordinance 2000 described in the provisional specification and that such other invention either forms the subject of an application made by the opponent for a patent which, if granted, would bear a date in the interval between the date of the application and the leaving of the complete specification, or has been made available to the public by publication in any document in that interval. Where a notice is given, the Controller shall give notice of the opposition to the applicant, and shall, before deciding the case, give to the applicant and the opponent an opportunity of being heard. Yes, Pakistan is one of the countries that has an absolute novelty requirement for patentability. It shall suffice to say that Pakistan stringently adheres to the requirement of absolute novelty and in this regard if a prior art to what is claimed in a specification is found, then the application is rejected outright. Further, there are no exceptions that provide leverage from the absolute novelty requirement. The legal standard for determining whether a patent is ‘obvious’ or ‘inventive’ in view of the prior art is to consider whether the ‘invention’ is such that it is not obvious to a person skilled in the art prior to its date of application. It is possible for a valid patent to be regarded as unenforceable if the government decides that the owner of the patent is acting against the public interest, in particular of national security, health or the development of other vital sectors of the national economy. In recent cases the courts have considered the way in which specifications are drafted and have held that the specification should be drafted in a manner that sufficiently explains the invention allowing a person skilled in the art to reproduce the invention, so as to allow the transfer of technology upon the lawful expiry of the patent. In this regard, a patent containing a specification that fails this test may be considered unenforceable. In addition, the federal government reserves the right to issue compulsory licences disentitling the patent owner from exercising exclusivity. Under the Patents Ordinance 2000, ‘prior user’ is not a defence in an action for infringement. If an accused infringer establishes that he or she has been using the method or device prior to the filing date or priority date (ie, in case of convention application) or publication date of the patent, then the patent in question is bound not to be an invention as it would lack the character of novelty, without which patents are not valid in Pakistan. A patent infringer is liable to pay damages when the court grants a relief to the patentee in an action of infringement. The damages may include the infringer having to pay the amount adequate to compensate for the injury suffered by the patentee because of the infringement, the costs of the lawsuit and the recovery of profits, damages and pre-established damages. As mentioned previously, Pakistani courts remain conservative in awarding heavy damages; as such, damages remain nominal in nature and only in rare cases would they provide fair compensation. However, damages shall not be awarded against an infringer who proves that, at the date of the infringement, he or she was not aware, and had no reasonable ground for knowing, that the patent existed. Awareness of the patent is not determined only from the application to an article of the word ‘patent’, ‘patented’, or any word or words expressing or implying that a patent has been obtained for the article, unless the number of the patent accompanied the word or words in question. There is no law or regulation that restricts or ascertains the amount of royalties to be paid to patent owners or any such specific guidelines on how to determine royalty. A number of factors shall be taken into account, which include, without limitation, the length of time over which it applies, the unit base of its calculation, the ‘remaining life’ of the licensed right, supportive assistance and other contractual obligations. However, the only place where the law refers to the commercialisation of patents is under section 58 of the Patents Ordinance 2000, which in referring to the grant of compulsory licences refers to obtaining the said licence on ‘reasonable commercial terms’. In addition to this, the Patent Rules 2003 go further to state that, in cases of compulsory licences, the patentee is entitled to up to 3 per cent remuneration by the licensee. The likelihood of obtaining a temporary injunction against future infringement is quite high in Pakistan, provided the patentee has a solid reason to believe that the alleged infringer will infringe his or her patented product or process. The injunction is effective against the infringer’s suppliers without the suppliers having been made a party to the lawsuit if the order granted by the court is wide enough to cover the infringer, his or her agents or distributors, or representatives. However, an injunction is not effective against the customers. One of the rights conferred by the grant of a patent as contained in section 30 of the Patents Ordinance 2000 is that the holder of a valid patent, where the patent is of a product, may prevent third parties not having the owner’s consent from the acts of making, using, offering for sale, selling or importing for these purposes that product. Moreover, where the subject matter of a patent is a process, the holder of a valid patent may prevent third parties not having the owner’s consent from the act of using the process, and from the acts of using, offering for sale, selling or importing for these purposes at least the product obtained directly by that process. 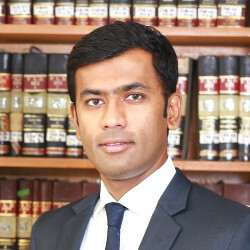 In addition to the above, under section 61 of the Patents Ordinance 2000, in a suit for infringement, the court has the power to order prompt and effective provisional measures to prevent an infringement, and in particular to prevent the entry into the channels of commerce of goods, including imported goods after custom clearance. Moreover, the provisions of the Customs Act 1969 section 15 prohibit the importation or exportation of goods that infringe patents within the meaning of the Patents Ordinance 2000. All of these rights can be enforced by the patentee against any third party either by an application to be filed with the customs authorities or a declaration and specific performance order by the court. Furthermore, the patentee pursuant to SRO 170(I) 2017, may give notice in writing to the collector of customs to treat the infringing goods, material or articles as prohibited goods. As a result, the collector of customs shall seize and destroy such goods from the customs authorities as per the prescribed procedures. A successful patentee can claim the costs to be awarded in its prayer clause of the plaint of a suit for infringement. It is then at the court’s discretion to grant the relief as claimed. The Patents Ordinance 2000 does not differentiate between the types of infringers; as such there are no additional remedies for a deliberate or wilful infringer. On the other hand, the Patents Ordinance 2000, under section 62 states that damages shall not be awarded against an infringer who proves that at the date of the infringement he or she was not aware, and had no reasonable ground for supposing, that the patent existed. The opinions of counsel may be used as a defence to a charge of infringement, thus mitigating the penalty received. However, it must be shown that the infringement is an outcome of the incorrect opinion of counsel and must be restrained as soon as it is established. Moreover, under the Patents Ordinance 2000, any patent agent found guilty of misconduct in a professional capacity may be struck off the Register of Patent Agents by the federal government. Although the Patents Ordinance 2000 does not specify the time limit for seeking a remedy for patent infringement, the Law of Limitation applies. Under the Limitation Act 1908, Part IV, the claim of compensation for infringing copyright or any other exclusive privilege is limited to a three-year period from the date of infringement. Therefore any action of patent infringement brought after the lapse of a three-year period shall be barred under the Law. However, it is an established principle of law that every new act of infringement causes a new cause of action. Although markings are not mandatory under the law of Pakistan, their use is beneficial as it reduces the risk of an infringer claiming innocence in not being aware of the status or existence of proprietary rights. There are no restrictions on the contractual terms by which a patent owner may license a patent. 59. Powers of Controller in granting compulsory licences. (1) On request, made in the prescribed manner to the Controller after the expiration of a period of four years from the date of filing of the Patent application or three years from the date of the grant of the Patent, whichever period expires last, the Controller may issue a non-voluntary licence to prevent the abuses which might result from the exercise of the rights conferred by the Patent, for example, failure to work. (iii) the amount of the adequate remuneration to be paid to the owner of the Patent and the conditions of payment. After the filing of the patent application, the examiner will issue an examination report (office objections) within one year. The examination process takes about two to three years, but it depends upon the number of examination reports issued by the Pakistan Patent Office and the client response in complying with the objections in this regard. If the examiner is satisfied with the response of the patentee, then the application is accepted and published in the Gazette of Pakistan for inviting opposition (the time period for filing opposition is four months). After expiration of the opposition period, the patent will be sealed for 20 years. Two payments must be made to obtain a patent. One is the official fees that are payable to the Intellectual Property Office of an approximate amount of US$80 to US$100, which includes the filing of the application, its examination and the grant or sealing of patent. The other payment is payable to the attorney as his or her professional fees for getting the procedure done, attending hearings on behalf of the applicant(s). The professional fees vary in accordance with the complexity of the case. Currently in Pakistan, there are no provisions to expedite patent prosecution at the Patent Office. A well-drafted patent specification and a continuous follow-up at the office can keep the application from being delayed because of backlog. In order to file a patent application in Pakistan, various documents are required by the patent office, which include: complete specification together with claims and abstract in the English language; drawings, if any; an application form that states the name, nationality and address of the applicant(s) or inventor(s); and a priority application number and certified copy of the priority documents in the English language (if priority is claimed). With regard to the disclosures and descriptions, these are to be made in the complete specification. The specification must include: the title of the invention; an abstract or summary of the invention; and background of the invention, including information of prior arts relevant to this technology. The last paragraph of the background should contain a comparative analysis of the claimed invention with prior art and the advantages of the claimed invention over prior arts; a brief description of drawings (if any); a detailed description of the invention, including the method of preparation, mechanism and its application; and claims related to salient features of the proposed invention. As previously mentioned, it is part of the procedure for the applicant or inventor to disclose prior art in the complete specification; however, there is no obligation on the part of the applicant or inventor to disclose prior art. The failure to disclose prior art will lead to the office raising objections that delay the patent grant and therefore it is encouraged that prior art be cited beforehand so as to minimise potential delays. An applicant may file one or more applications to pursue additional claims to an invention disclosed in its earlier filed application. The application that needs to be filed is the divisional application; however, such an application can only be filed before the application has been accepted. Moreover, the additional claims of each divisional application shall not go beyond the disclosure in the first application. Appeal can be made to the High Court from any decision, order or direction of the Controller. The matter of appeal is governed by section 69(2) of the Patents Ordinance 2000. As mentioned previously, the provisions of section 23 of the Patents Ordinance 2000 provide a mechanism by which the grant of a patent shall be opposed. The mechanism provides various grounds on which the grant of patent may be opposed. However, any such oppositions shall be made at any time within four months from the date of advertisement of the acceptance of a complete specification under this Ordinance, and any person may give notice to the Controller of opposition to the grant of patent on any of the grounds. The Patents Ordinance 2000 does not provide any mechanism that specifically deals with disputes related to priority claimed by different applicants for the same invention other than determining from the date of application and if any priority has been claimed in the application. Under section 39 of the Patents Ordinance 2000, an application shall be made to the Controller in respect of any improvement or modification of a patent, and the Controller may grant the patent for the improvements or modification as a patent of addition. Re-examination is a process whereby a patent is re-examined by the Controller to verify that the subject matter it claims is patentable. Therefore re-examination and revocation of a patent are interlinked as the re-examination of a patent is the starting step of the revocation proceedings. With regard to the revocation of a patent, section 47 of the Patents Ordinance 2000 provides for the mechanism for revocation of patent by the Controller. As for the amendment of a patent claim by a court during a lawsuit, the Patents Ordinance 2000 further states under section 43 that the High Court may by order allow the patentee to amend his or her complete specification in such manner, and subject to such terms as to costs, advertisements or otherwise, as the High Court may think fit, and if in any such proceedings for revocation the High Court decides that the patent is invalid, the High Court may allow the specification to be amended under this section instead of revoking the patent. The duration of patent protection is determined from the date of filing of the application and, in the case of a convention application, the date of such earliest application filed in the convention country from which priority has been claimed. Ali & Associates was founded in 1972 as a Trademark boutique, which over the past 45 years has expanded into a commercial law firm specializing in all aspects of Intellectual Property Law, Media, Telecom, Corporate Advisory and Dispute Resolution.